Germany added almost 3 gigawatts of new solar power generation in 2018, about 68 percent more than the previous year amid a drop in prices for new systems. 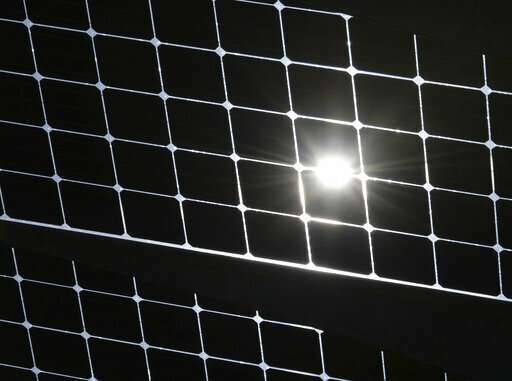 But the country's solar industry association, BSW, said Thursday that Germany needs 7.5 GW of new photovoltaic systems annually to meet long-term energy demand. Germany plans to switch off its nuclear plants by 2022 and the government is considering a proposal to stop burning coal for electricity by 2038 at the latest in a bid to curb greenhouse emissions. Europe's biggest economy depends heavily on reliable electricity supplies. Solar contributed about 8 percent of Germany's electricity last year. At 46 GW, Germany has the fourth largest installed solar capacity behind China (174 GW), the United States (63 GW) and Japan (60 GW).